NOTE: Credit may be earned on only some items below. Check whether Customer Credit earning is operational. Due to our prices and margins being so low which is great for you we do not provide loyalty credit and affiliate credit at this time. 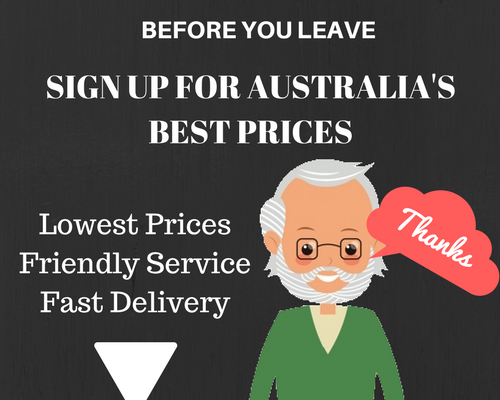 We've just made our prices extremely low. But we would love you to share our products on facebook, twitter and google so we have a credit reward for each time you share via our social share links on the product pages. WHY DO WE HAVE THIS - Because we would rather reward our customers than make google and facebook more profitable by solely paying them to promote us. NOTE: Not all features may be available or rewarded in order to earn credit. 2. Login before you checkout so we can apply accumulated credits when they reach bottom limits and your cart total value reaches its threshold.